This is the answer that you've been looking to your question "how to motivate yourself to run / exercise and get paid"
Have you ever bought a gym membership and never used it? 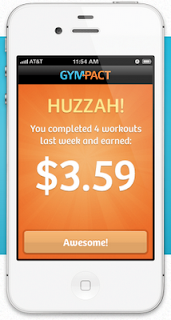 GymPact helps you keep your own fitness promises. 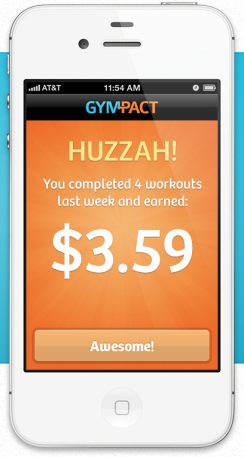 Earn real money for making your workouts — paid for by those who missed theirs! With cash on the line, you'll find it easier than ever to get to the gym and see real results. 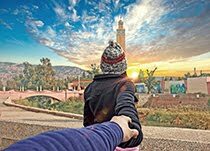 Thanks to the Runkeeper partnership, now you don't have to go to gym to get your exercise, you can do runs, walks and bike ride with Runkeeper app. It will motivates you to do your exercise in the gym or running through punishment and reward. I'm currently using gympact and works for me! the pay is not much but the benefit is great. tell me more about gympact! set up a commitment like 2x exercise per week, do it! and get paid. if you missed it you need to pay for every single exercise that you've missed! 2. set up a pact, pact is your commitment to get to exercise. you need to tell them how many days a week you want to exercise. you need to exercise at least 30 minutes in the gym or 30 minutes of activity above 2 miles/hour for runkeeper. 3. set up your stacks. Stack is your punishment, you miss the pact and you pay for it. Which RunKeeper activities count for GymPact? Minimum of 30 minutes of activity in which your pace is above 2 miles per hour (but slower than driving!). If in doubt, an extra 5 minutes of walking, running or biking never hurts! 5. change your pact! if you know your schedule will be very busy next week, don't forget to change it. You can also schedule a break. if you are injured / sick: If you ever run into medical issues, just ask your doctor or employer to email medical@gym-pact.com for their work address. 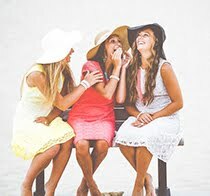 You’ll be exempt from your Pact until you are better. Have more questions about GymPact? Check out our FAQ's!